Public Rights of Way in the parish of Kingston are listed below. These include a 2.5 mile section of the South West Pensinsula Long Distance Coast Path, between the River Erme crossing and Westcombe beach. There are also some Permissive Paths in the parish. Footpath 1 starts at Walkespool and goes along the side of the duckpond through the orchard. Here it becomes Footpath 55 (a legacy of a Parish Boundary change) and, at the lane at Okenbury, becomes Ringmore parish’s Footpath 5, leading to Ringmore village. 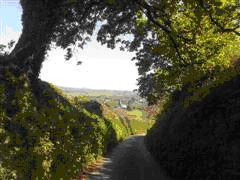 Footpath 2 is a bridleway, also starting at Walkespool, going down Lower Road to a stile (see Footpath 10 below) then doubling back up Cherry Hill to meet Long Lane and back to the village by road. Footpath 3 runs from the pine tree at Headless, which forms our logo, on the road above the church, and passes through fields down to the road near Wonwell (pronounced Wonell) Beach on the Erme estuary to join the Coast path. Footpath 4 known as Vicarage Path, goes from Trebles on the main road into the village through two fields to meet Vicarage Lane near Vicarage Farm. Be careful on the steep steps down onto Vicarage Lane. Footpath 6 is a cross-field path cutting off the corner from Vicarage Lane to Great Torr. Footpath 7 is the Coast Path from the Erme crossing point near Wonwell Beach to Fernycombe Point. Footpath 8 is the Coast Path from Fernycombe Point to Westcombe Beach, where it links with Footpath 10. Footpath 9 is a field-side path from Gabberwell Lane towards South Langston. It becomes Ringmore Footpath 2, where it crosses the parish boundary. Footpath 10 continues down the valley from the stile on Footpath 2 to Westcombe ( pronounced Wiscombe) beach and the Coast Path. There are Permissive Paths over National Trust land between Scobbiscombe lane, near the farm, and the Coast path at Fernycombe and Hoist Points. In order to enjoy the Rights of Way and Permissive Paths of the adjoining parishes you will need to look at Modbury, Bigbury and Ringmore. Kingston Parish Council has developed a series of three leaflets describing six circular walks within the parish boundaries. These can be download from the links below. There is limited parking near the parish church of St. James the Less. If you park elsewhere in the village please do so with careful attention to resident’s access and working agricultural vehicles. These can be wide and often have equally wide trailers in tow. You have been warned! Walk 1 is 2.1 or 3.6 mls (3.4 or 5.5 kms). It is on tarmac lanes and is a pleasant way to start to explore this historic village and its outlying hamlets. Walk 2 is 0.6mls (1km). It is a short circular walk on lanes and field paths taking in some beautiful views of the village and the surrounding countryside. Walks 3-6 range from 4-6mls (6.4 to 9.7 kms) and all include a section of the Southwest Coastal Footpath along cliff edges with fantastic views of the sea and wildlife. Please take care, especially on high unfenced cliffs, and wear footwear with a good grip. Also please note that horses and cattle can threaten dogs. Our thanks to John Wurr and Mike Torrens for producing these leaflets and to the Big Lottery for providing the funding for both the leaflets and the orientation board, which can be found on the Reading Room wall in the village centre. The National Trust Yealm and Avon property stretches from the former gunnery school at Wembury Point along the South Devon coast to Clematon Hill at Bigbury on Sea. The area surrounds the Yealm estuary and either side of the Erme and Avon estuaries, including the ‘honey pot’ site of Wembury beach. The countryside the Trust cares for also contains heathland at Teignmouth, farmland at Ugborough and Compton, woodlands at Bradley Manor (Newton Abbot) and Compton. The total area is approx. 2500 acres. Farmland covers the largest area with 15 tenanted farms. 10% of the area is wooded with habitats including maritime grassland; wetland, heath (coastal heath) and the littoral zone (inter tidal areas). The Trust has a wide range of nature conservation programmes primarily focused on the maritime grassland management on the coast. This habitat, of which only 5% is left nationwide, is managed and restored in areas where it has disappeared. 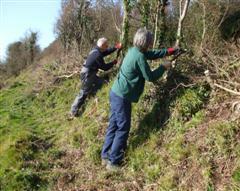 Management involves scrub clearance, fencing and grazing schemes. This work is monitored and recorded in regular biological surveys. Grazing schemes using various animals including sheep, cattle and ponies are very effective in helping the Trust maintain cleared areas and encouraging grasses and wild flowers to grow. Mainly sessile oak woods with a number of other plantings including larch, beech and spruce. Predominantly hazel under storey with rhododendron – a problem species requiring careful management. A number of farms are in countryside/environmental stewardship, with grassland reversion and winter stubble schemes with arable plants that require cultivation such as Corn Marigold and Lesser Snapdragon. These are a major feature of South Devon and we support these by managing and creating/recreating old banks, planting new hedges, hedge laying and hedge coppicing. 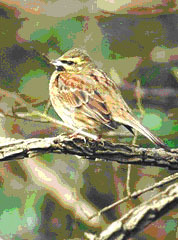 They are wonderful habitats for all wildlife, in particular cirl buntings, which are regularly sighted on Scobbiscombe Farm. 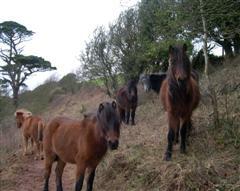 (Teignmouth) is part of Haldon Hill Site of Special Scientific interest (SSSI). It is 43 acres of open heathland with the characteristic vegetation combination of heathers, western gorse and grass species. 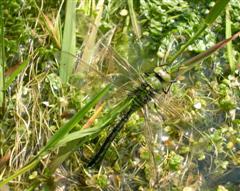 which support a tremendous amount of wildlife, as well as the stream running through the valley to Ayrmer beach. 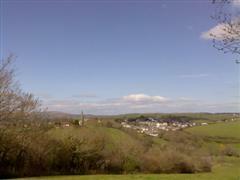 The property is noted for its spectacular views, unspoilt scenery and landmarks. A 13 mile stretch of the Southwest Coastal Footpath runs through the property. There are a large number of circular routes and permissive paths that link in with the Coast Path, as well as inland routes which all require managing and maintaining. There are 6 main visitor car parks. These include Neolithic and Iron Age earthworks, a significant number of vernacular buildings, old mills and leats associated with these mills. Catch meadow systems such as the one in evidence at Ayrmer Cove. There are remnants of WW2 activity in the shape of gun emplacements and firing ranges, along with signal station sites and general coastal defences. Also the more recently acquired area of Wembury Point and the Great Mewstone. The property is developing strong local links with the Parish Councils and local volunteer groups. The Trust partnerships with Plymouth University ECO group, Wembury, Yealmpton and Elburton primary schools and Plymstock Secondary School. These along with other groups partake in practical on site management under National Trust supervision and guidance.